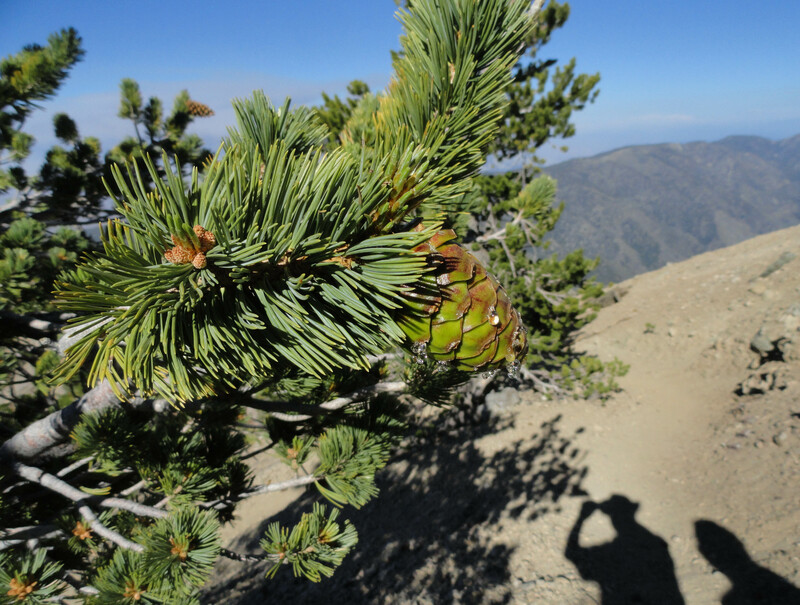 This hiker ponders his next move. The torrential rains from earlier this month have ripped a sizable gash through the mine trail just a short distance in from Vincent Gap. 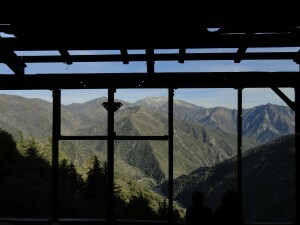 photo courtesy: Dave Vasquez, Mountain Hardware. 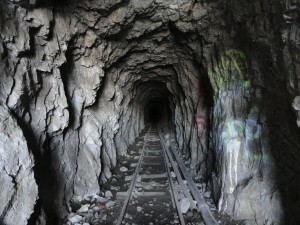 The trail to the Big Horn Mine was recently washed out by the heavy thunderstorms experienced throughout the San Gabriel mountains. Earlier this month, our gauge received 4.03″ in a just a few hours, turning Wrightwood’s Swarthout wash into a raging torrent. 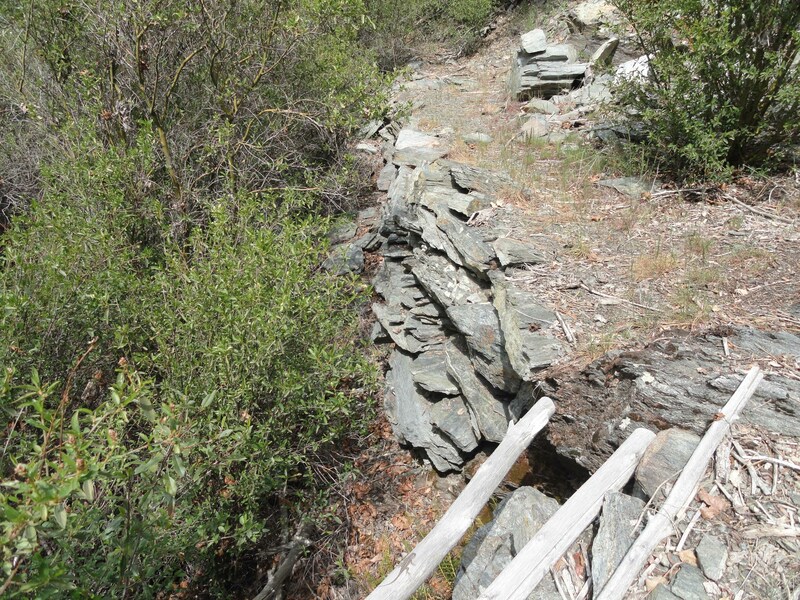 Erosion occurred throughout the community and on local mountain hiking trails as well. 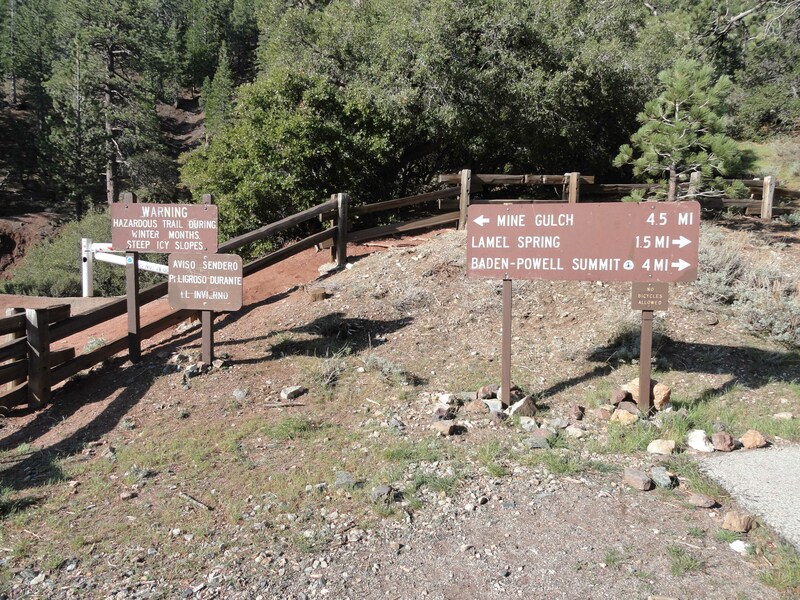 Take care crossing this drop-off if you happen to be planning a hike to the Big Horn mine. This entry was posted in Hiking Wrightwood and tagged Big Horn Mine, hiking, Mount Baden-Powell, Vincent Gap on July 31, 2015 by Mike. 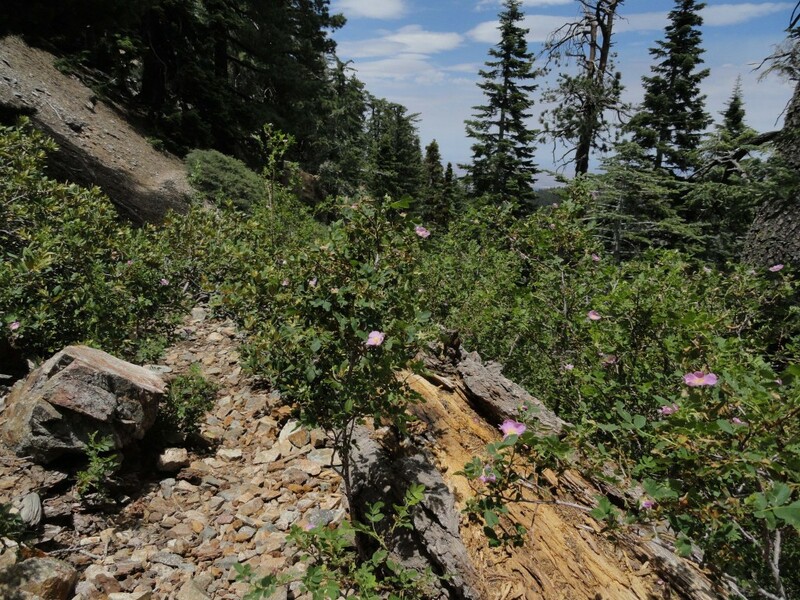 Wild California roses adorn Lamel Spring on Mt. Baden-Powell. This sunny scene is looking north toward the Mojave Desert at an elevation of approx. 7,600′. 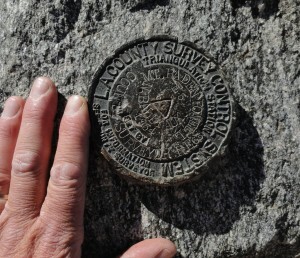 This hike ascends the switch-backing Pacific Crest trail up the northeast facing slope of Mt. Baden-Powell. 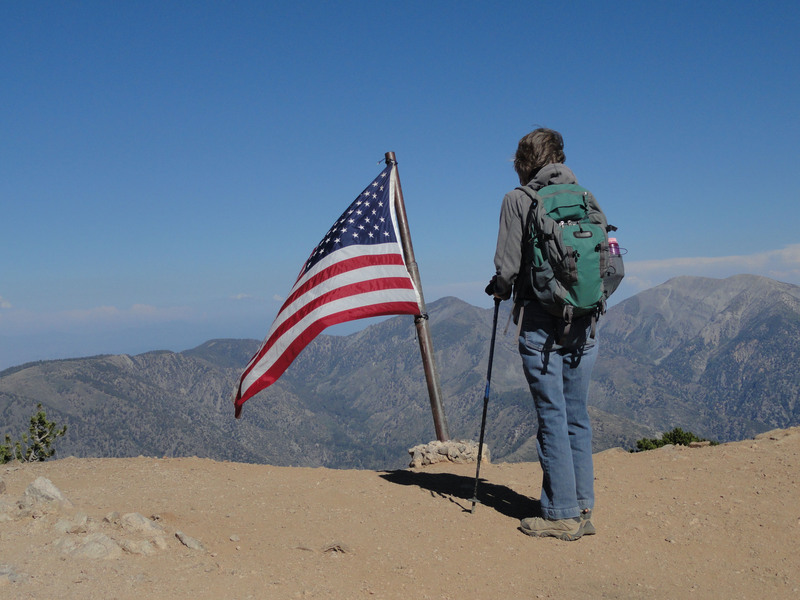 This is an easy to moderate hike, affording scenic vistas out over the Mojave Desert and the eastern high country of the San Gabriel mountains. 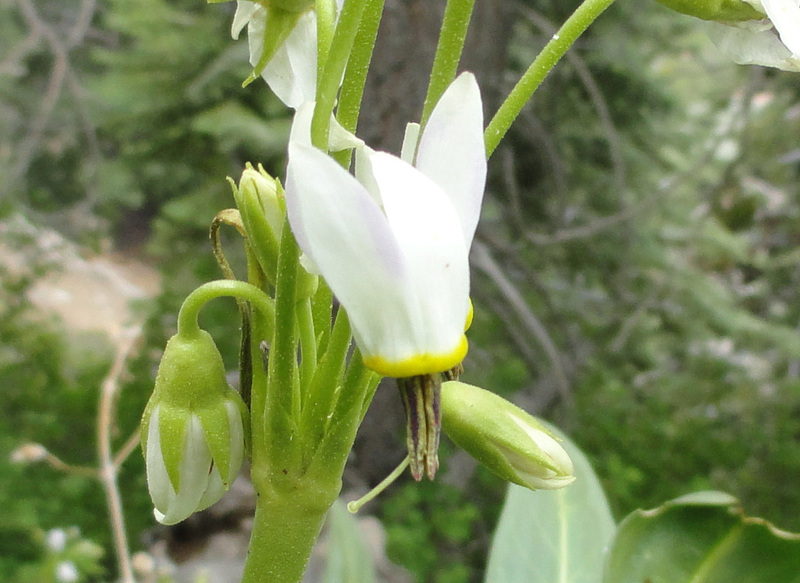 This shooting star is another delicate alpine beauty found in the environs of Lamel Spring. 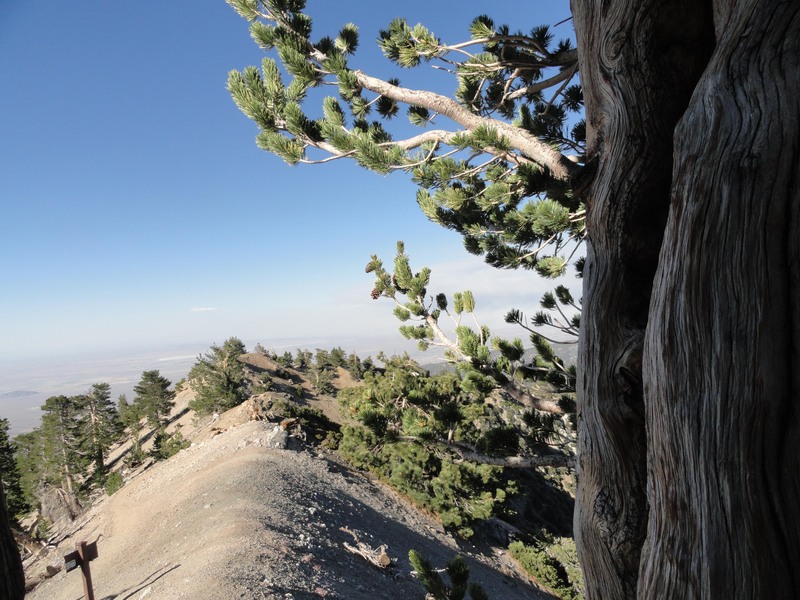 Just recently, with summer edging toward the beginning of July, I hiked up to the little mountainside oasis of Lamel Spring on the forested slope of Mount Baden Powell. Somehow, it seems that on every trip back to this beautiful mountain, that the experience is somehow brand new. As with all hikes starting out from Vincent Gap, the soil is brick red and dusty, a bit like being out in parts of New Mexico and Utah. 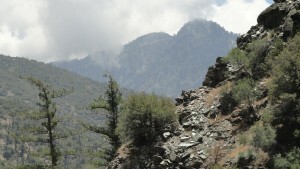 The trail wastes no time in its’ ascent up the northeast facing slopes of the mountain. Many of the hikers starting out from Vincent Gap have one goal in mind; summiting the 9,400′ peak and then returning down the same trail. If you don’t feel like going all the way to the top, this little spring is a peaceful and scenic destination located a little less than half way up to the top. 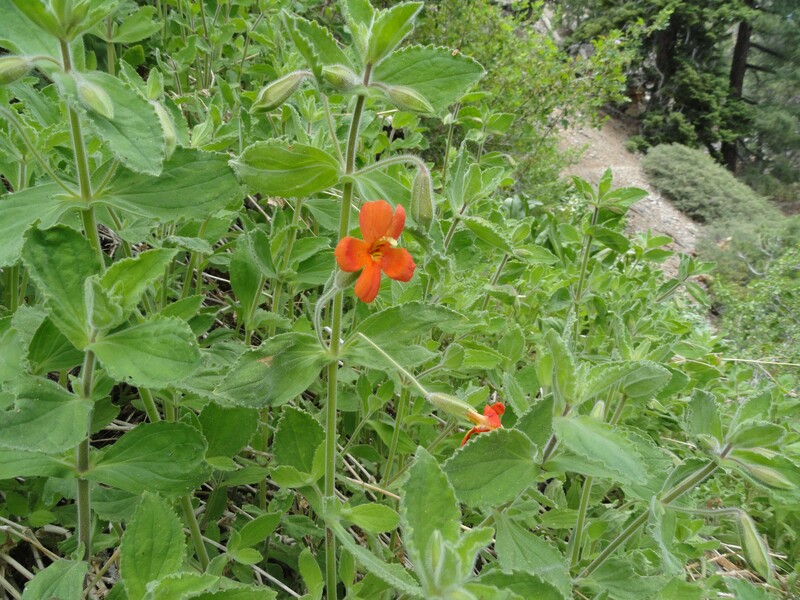 Scarlet monkey flowers abound on the slope of Lamel Spring, less than halfway up to the summit. 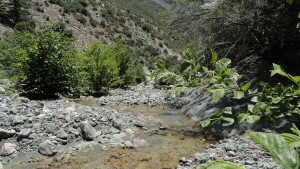 A small standing pool of water is all that remains of Lamel Spring on this early summer day. 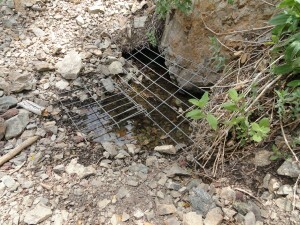 This spot is beyond valuable to local wildlife. place to rest and take in the scenery. To the east, you can view East Blue Ridge and the top of the lift for Mountain High Ski Resort. 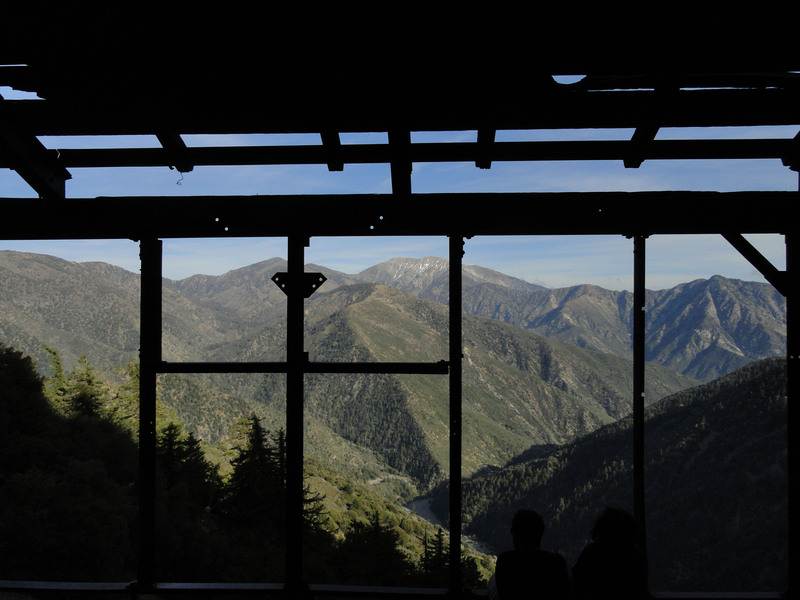 Looking straight across the great openness of the East Fork of the San Gabriel River, Pine Mountain and Mt. Baldy present themselves in stark relief against the horizon. When you come to the sign for Lamel Spring, just head to your left and follow the narrow path for a couple of hundred yards. Even from the spring, if you look carefully, it’s possible to see the trailhead parking area. Enjoy the peace of this place and take your time on the return hike back. 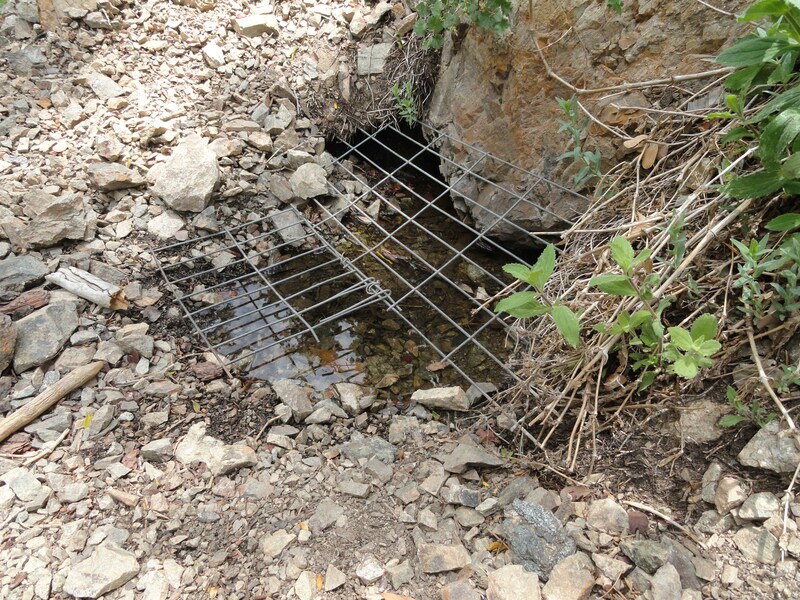 Springs like this are a rare find in the San Gabriels! 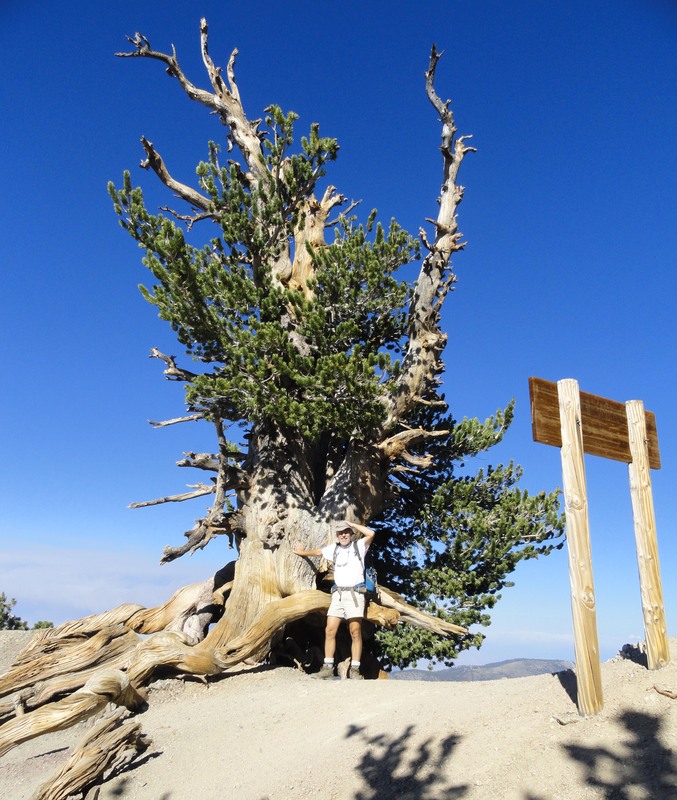 This entry was posted in Hiking Wrightwood and tagged hiking, Lamel Spring, Mount Baden-Powell, Vincent Gap on July 13, 2015 by Mike. 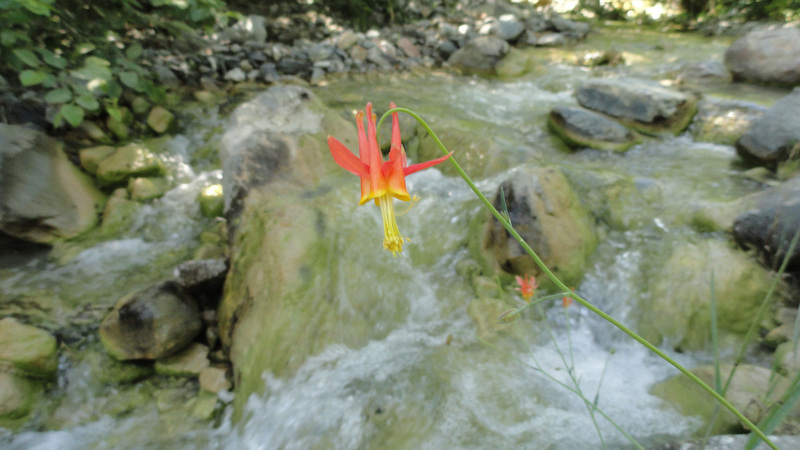 This columbine flower graces the tumbling stream of the Upper East Fork of the San Gabriel River. 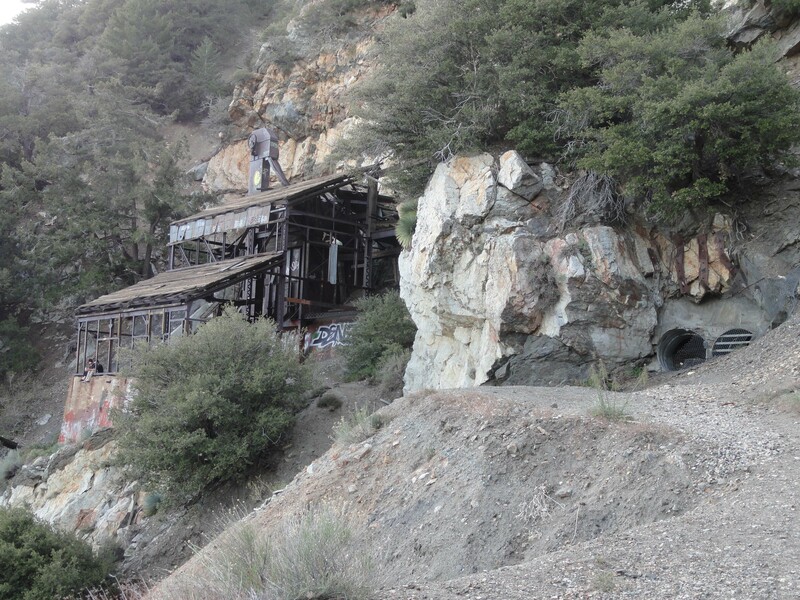 Last Wednesday I journeyed back down Vincent Gulch to the stream side shelf of Mine Gulch Camp. 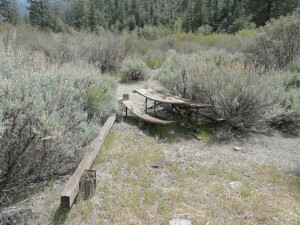 Nothing’s at Mine Gulch any more in the way of improvements such as tables, fire pits or outhouses. 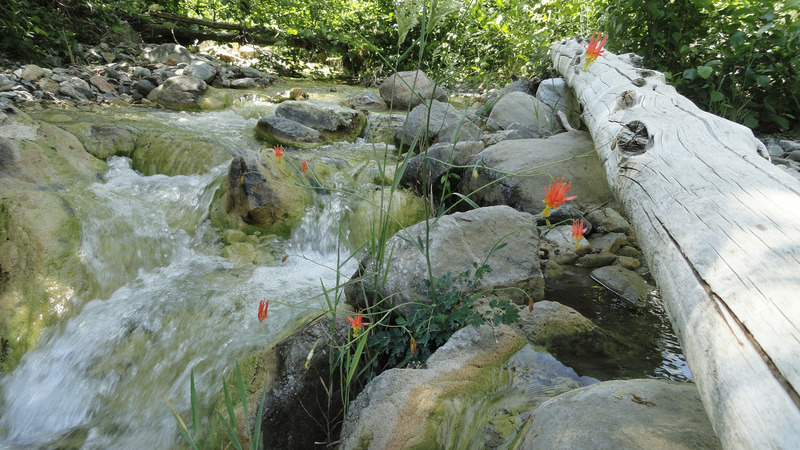 However, the broad bench alongside the stream bed is shady and very level, offering a great camping spot at a place where you can explore the Prairie Fork by going straight across the wide, bouldery wash or heading down the East Fork toward Alder Gulch, Fish Fork and points further on. My goal was to continue down the East Fork of the San Gabriel River to a spot near the confluence of Alder Gulch and then double back, hopefully returning back up to Vincent Gap before I lost my light. Heading down the trail in Vincent Gulch toward Mine Gulch campsite. Really, once you starting heading downstream from Mine Gulch campsite, the East Fork stream bed is one big rocky floodplain for the next thirteen or fourteen miles to road’s end near Follow’s Camp. It is slow going and the stream crossings are numerous. Bring a pair of water shoes with you, so you can just slog across the East Fork without having to make an endless number of risky jumps just to keep your boots dry. 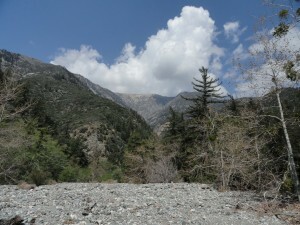 Iron Mountain as seen from the East Fork of the San Gabriel River, just downstream from Mine Gulch campsite. 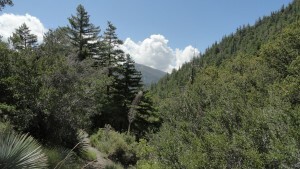 Part of the character of these upper reaches of the East Fork is the isolation from other hikers. I was out for nine hours and only saw one person, and that one person was within a hundred yards of the trailhead at Vincent Gulch. That was it! Much of the terrain passes through a myriad of beautifully striped metamorphic boulders, piles of fractured rocks that have fallen hundreds of feet from towering cliffs that border the deep canyon. You must pick your stream crossings amongst wide glades of buckwheat, Yerba Santa and mountain mahogany peppered with sunbaked driftwood from times and storms gone past. 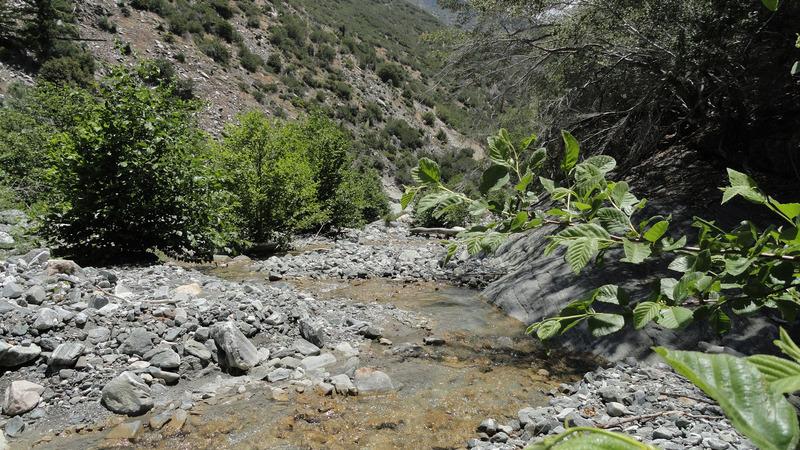 Looking downstream, near the confluence of Mine Gulch and the main canyon of the East Fork of the San Gabriel River. Gentle, onshore breezes pushed up canyon as I continued heading downstream. Occasionally, beautifully twisting sycamores graced my way, sheltering me from the relentless June sunshine. Their leaves quaked gently back and forth in the fresh air. The interplay of shadow and bright pools of warm light constantly and quietly changed the mood around every bend in the canyon. Surprisingly, the stream was flowing much more abundantly than I had expected. Narrow hedgerows of white alder grew tightly along most of the stream course, adding their shade across secret pools of green. A tranquil setting of white alders alongside the East Fork of the San Gabriel River. Near confluence of Alder Gulch. 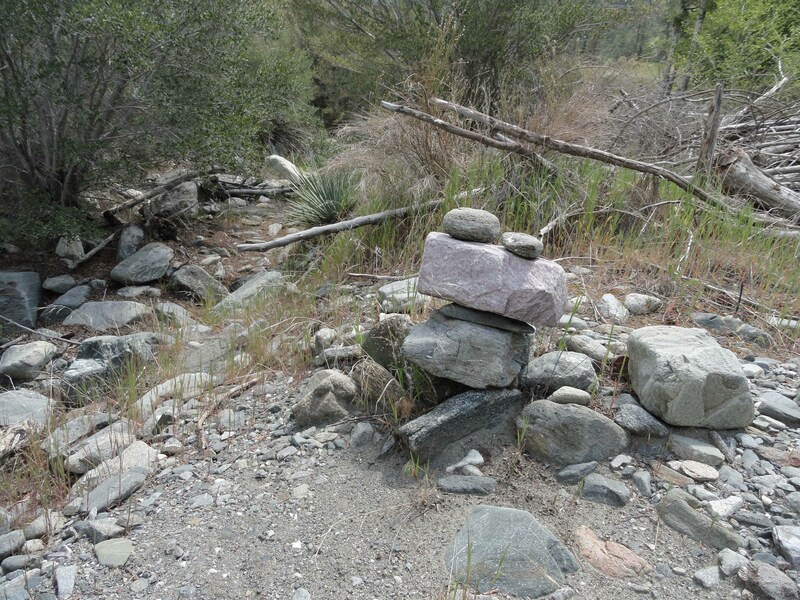 After finally turning around for the long ascent back to the car, I had fun looking for stacked rock cairns, “ducks”, that had been placed by earlier hikers to mark where they thought the route should be amongst the wide, wide sunbaked washes. It was a tiring, yet exhilerating day in the wild and quiet Sheep Mountain Wilderness. If you want to get re-charged with the peace and quiet of the open spaces of our mountains, this just might be the place to consider. This clump of columbine has found its’ niche in the center of the stream bed. 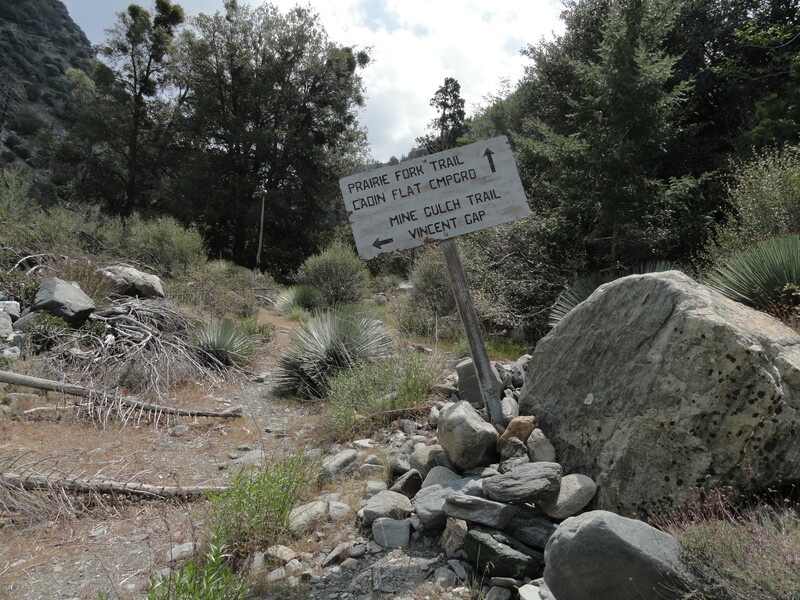 This entry was posted in Hiking Wrightwood and tagged East Fork of the San Gabriel River, hiking, Mine Gulch, Prairie Fork, Vincent Gap, Vincent Gulch on June 15, 2015 by Mike. Viewing Mt. Baden-Powell from confluence of Mine Gulch, Vincent Gulch and the Prairie Fork. 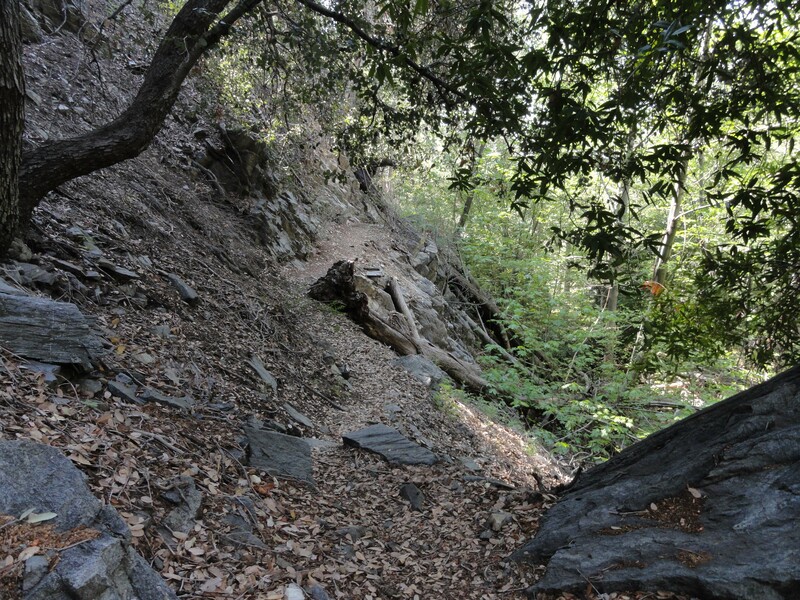 Just last week, on Earth Day, I hiked down the Mine Gulch Trail from the Vincent Gap trailhead. 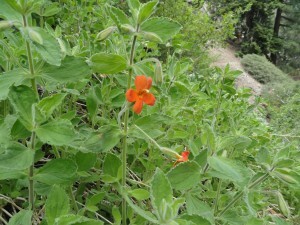 Common wall flowers alongside the upper Mine Gulch trail. 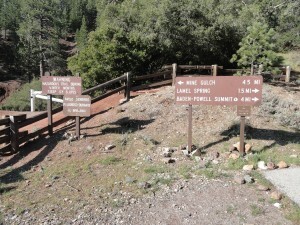 Vincent Gap Trailhead. The approach to Big Horn mine, Mine Gulch and the greater East Fork of the San Gabriel River is past the white fire road gate to the left of the split rail fence. 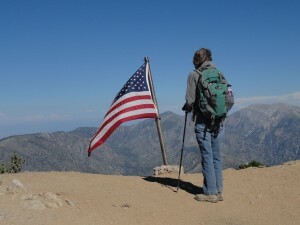 “out and back” day hike, with the hope of returning back before dark. Vincent Gap is a great jumping off place for everything from the Manzanita Trail down the desert side of the range, Mt. 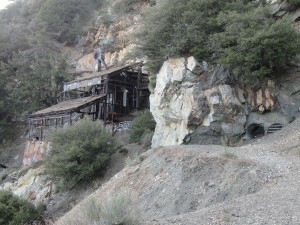 Baden-Powell’s summit, exploring the Big Horn mine or, in my case dropping into the East Fork of the San Gabriel River. The day was still and the air crisp. The small leaves of the ceanothus (buck brush) were tipped with the silver pearls of water droplets from the previous night’s light rain. Looking up, only the tiniest puffs of cumulus clouds peeked out from behind Pine Mountain to the east. Perfect. Just below Vincent Gap (trailhead) the Vincent Gulch trail enters into a tranquil forest of Ponderosa, Sugar pine and Incense Cedar. Squaw currant abounds on the forest floor. Contouring the red dirt mountainside, I followed the old Big Horn mine road to a point where the single track Vincent Gulch trail begins its’ descent. 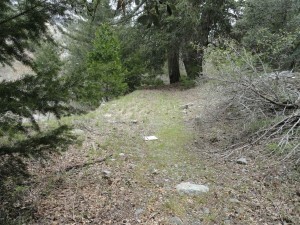 A short ways further, the trail enters a sylvan green sanctuary of mature incense cedars and pines. 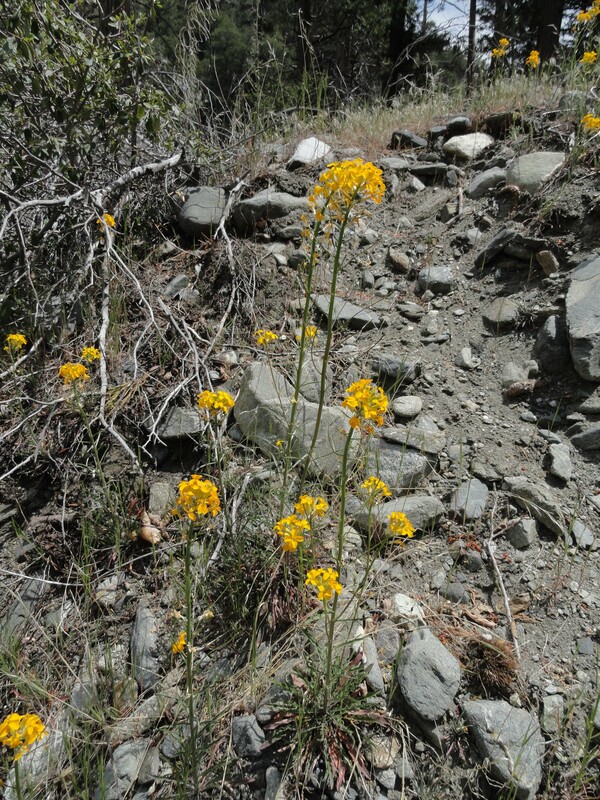 Steadily the trail descended into healthy stands of oak woodland while manzanita began to make its’ presence. The ends of switchbacks afforded views into the expansive rocky run-outs coming off the northeast slopes of Mt. Baden-Powell. 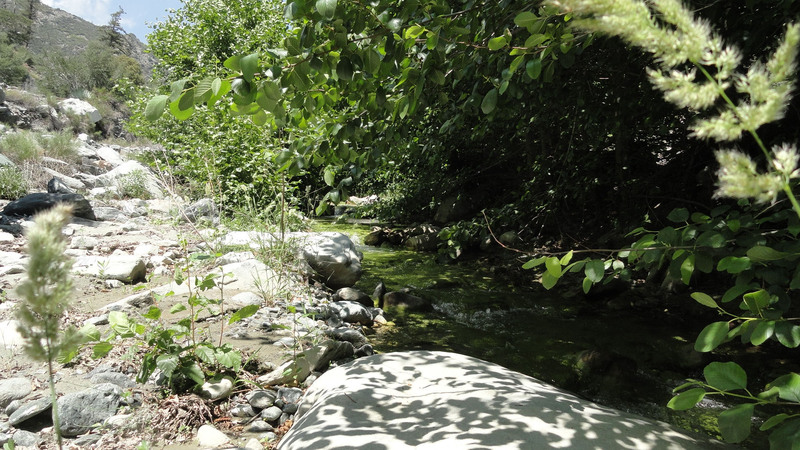 Vincent Gulch’s steep, brushy tributaries continued to merge under canopies of canyon live oak. Within a couple of miles, the murmur of a small stream could be made out before arriving at the bright spring greens of a healthy riparian environment of white alders and big leaf canyon maples. 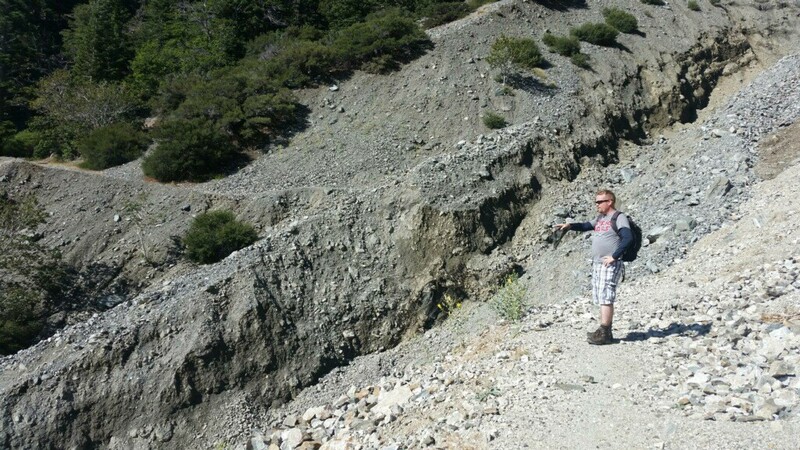 The shaded stream is bounded by a steep and fractured geology. 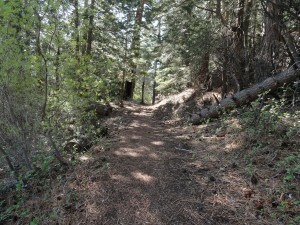 A section of the Vincent Gulch trail travels under the shade of bays, alders and Big Cone Spruce. Dark banded metamorphic rock twisted and turned, leaving the stream and trail no choice but to follow. So, on I went through groves of laurel bay and Big Cone Spruce. 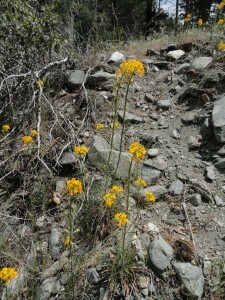 Eventually the trail gave out to a wide, barren wash of bright rocks of all size and shape. Bright, bright sun was everywhere. The clouds had eclipsed a bit more of the deep blue sky near both Mt. Baden-Powell’s summit and Pine Mountain as well. 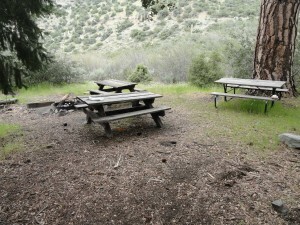 A leveled-out campsite at Mine Gulch campground. There have been no improvements here for decades. 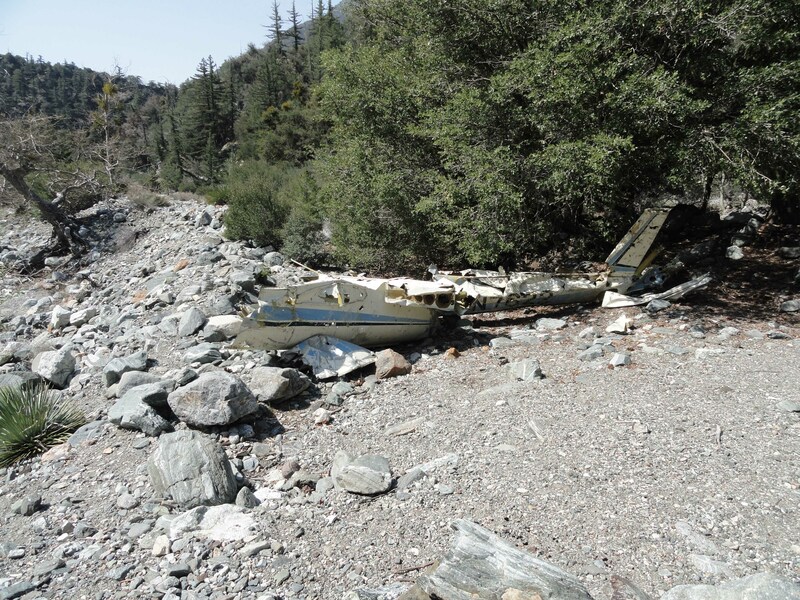 Just before approaching Mine Gulch Campground, you’ll find the wreck of a small private plane that went down many years ago. By now I was thirsty and was half way through the water, but no problem, had thrown my water filter into the pack at the last minute. However, had forgotten to bring a hat, and could already feel the sun beginning to burn the top of my head. Wreckage of a light plane in lower Vincent Gulch. This fuselage and wing sections have been here for decades. Was soon at the Mine Gulch Campground, about 4 1/2 miles in, essentially a shelf at the confluence of Mine Gulch, Vincent Gulch and the Prairie Fork. Back in 1978, about the only improvement at this camp was an outhouse. Now, even that was gone. It appeared that folks still camped here, for some of the small flats looked recently swept clean from tents and tarps. There were some abandoned camping supplies, buckets and even a fairly new looking pick axe. Not all that surprising. The East Fork still attracts amateur miners looking for that elusive gold. However, no people were to be seen or heard. Just the constant murmuring drone of the East Fork doing its’ river thing, grinding out the mountains over the eons. 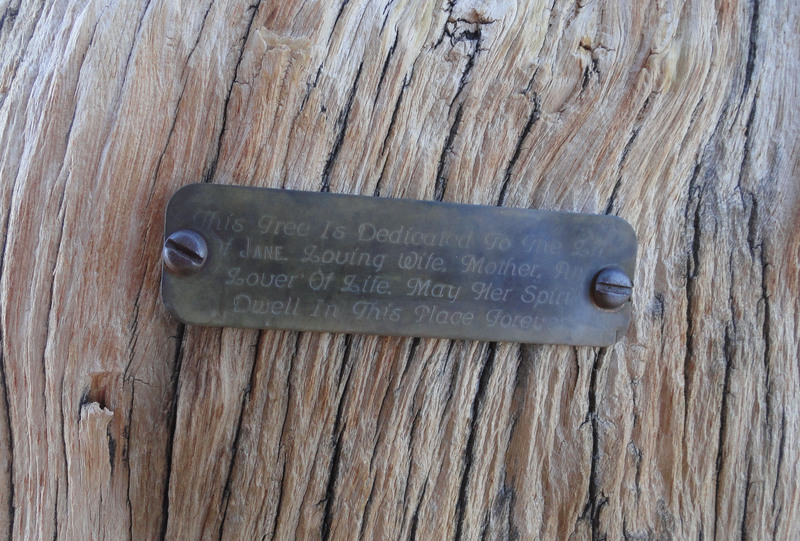 Trail sign at mouth of Prairie Fork. 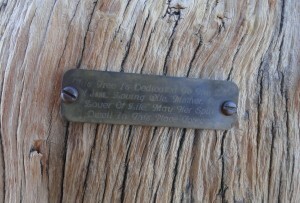 Located directly across wash from Mine Gulch campground. Prairie Fork. Just the name evokes images. And, true to its’ name, there are places so wide that it almost beckons the name “valley.” This is a very big drainage that has miles of timber stands, grassy meadow-like flats, chaparral and high ridge lines all around it. 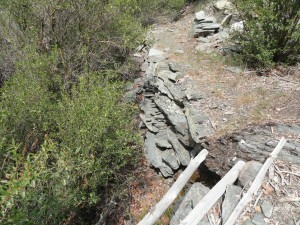 Starting on up from its’ mouth, the ascent is easy, yet the trail’s about non-existent. Rock cairn markers, known as “ducks” have been left by prior hikers alongside the Prairie Fork trail between Mine Gulch & Cabin Flat campgrounds. The trail is nearly non-existent in most places. 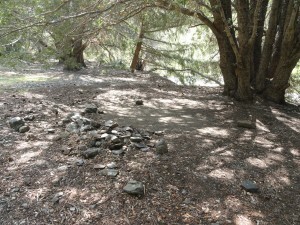 Periodically there’d be a rock cairn or “duck”, marking the way that previous travelers had taken. Sometimes the placement of these markers made sense, and when they didn’t, it was time re-think my next move. The area between Mine Gulch and Cabin Flat Camps is a little better than two miles in distance and really, pretty much cross-country hiking. 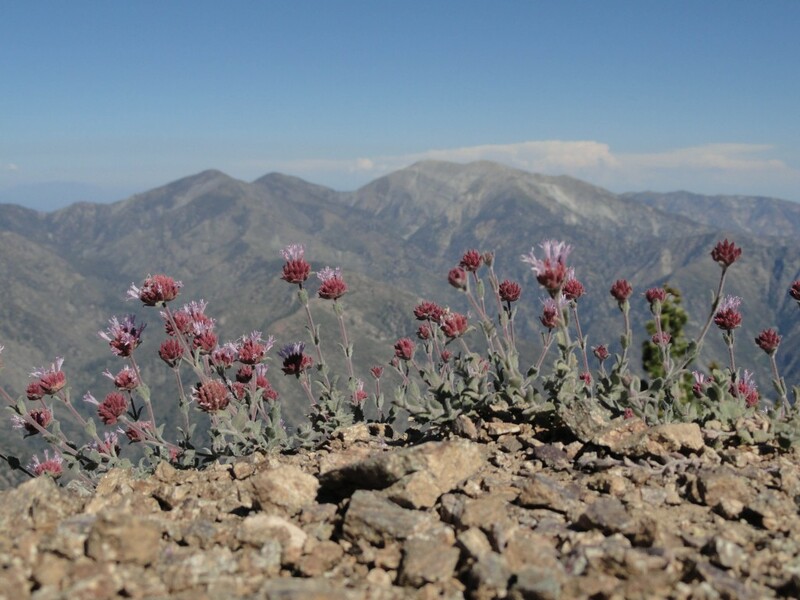 The lower part of the route is made up of glades of Yerba Santa interspersed with Yucca, blossoming buckbrush and the ever-present wide wash. This section of the Prairie Fork trail is covered with downed trees that have been bleached by seasons of sun. 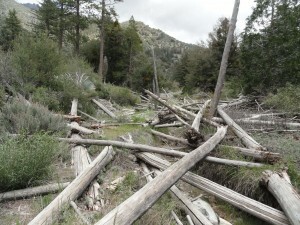 There’s lots of stepping up and over downed trees, brush and boulders between Mine Gulch and Cabin Flat campgrounds. Dry stack rock wall still supports a remnant section of the Prairie Fork trail. Photo taken just downstream from Cabin Flat campground. approaching Cabin Flat, when the going seemed to be getting easy, there was a thicket of willows to pass through. Then the young stinging nettles came into play. Memories of having gotten stung by huge nettles back in ’78, meaning eight feet tall or more, came back sharply through the backs of my calves. Quickly as I could, I jumped over a muddy expanse of more nettles and was free of the creek bed and climbed up the bank into an abandoned parking spur at my long awaited destination. A small piece of the old jeep track in Prairie Fork that once went downstream to the East Fork of the San Gabriel River from Cabin Flat campground. 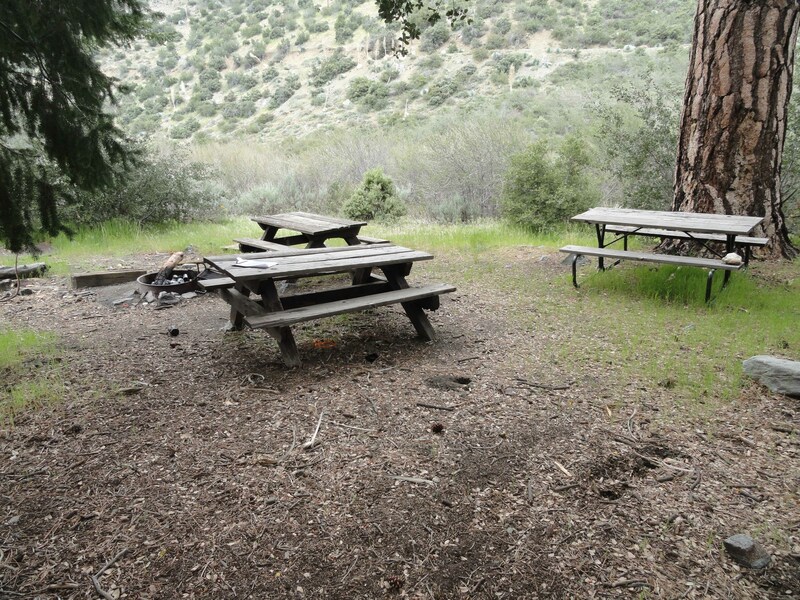 Cluster of tables and fire pit, which appear to be an actively used site at Cabin Flat campground. A sun-baked picnic table is taken back by encroaching Great Basin sagebrush at abandoned Cabin Flat campground. This entry was posted in Hiking Wrightwood and tagged Cabin Flat, hiking, Mine Gulch, Prairie Fork, Vincent Gap, Vincent Gulch on April 27, 2015 by Mike.